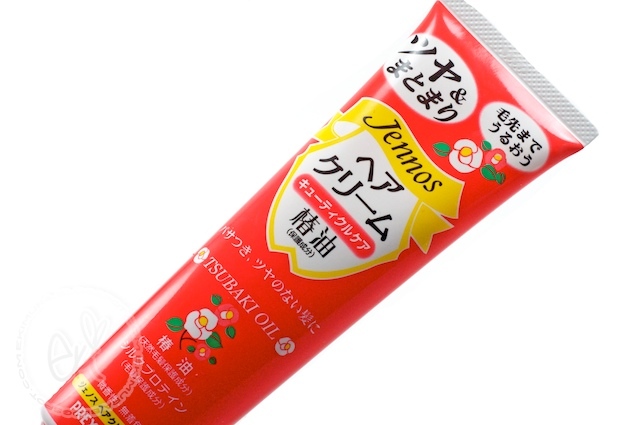 Yanagiya Jennos Hair Cream (Tsubaki Oil) is blended with tsubaki oil, it effectively penetrate into hair to hydrate your hair and prevent loss of moisture from damaged and permed or colored hair. 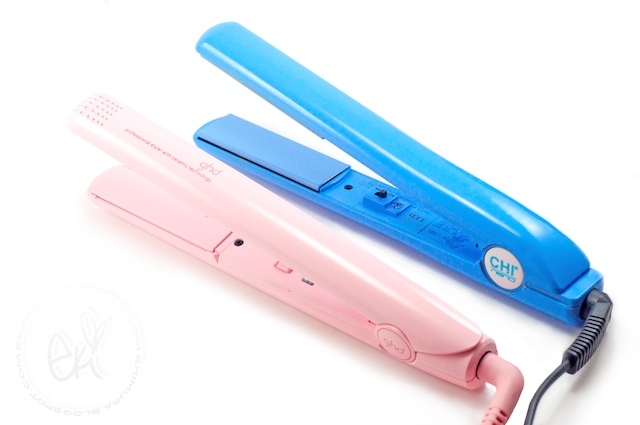 It prevent split ends and strengthen hair, leaving your smooth and glossy hair! Protein is also added to give extra nourishment for damaged hair. The faint tsubaki fragrance, will leave you feeling relaxed and refreshed. Non-rinse leave on formula, gives your hair a spa-like treatment, repairing and condition your hair in just one step! After shampooing, apply appropriate amount of hair cream to dampened hair. Leave in for the night and enjoy a glossy hair the very next day! Apply the hair cream to dry hair in the morning, gently rub the hair cream into your hair as daily hair care treatment. Makes my hair healthy feeling and smooth when I run my fingers through my hair, great for processed dry hair especially on the ends. One thing with this item is that if you apply too much it can weight your hair down and feels oily but if your hair is needing some moisture and frizzy this product is great! 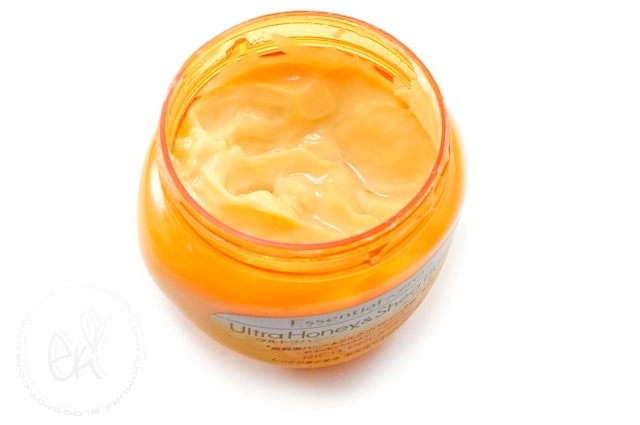 Essential RICH PREMIER Ultra Honey Hair Mask is formulated with 3X more high purity honey and milk protein to protect and strengthen. It provides intensive care, especially to the last 15 cm of hair, which is prone to dryness, tangles and split ends. Hair is left soft, elastic and easy to manage. The mask gives a scent of flower and fruit. 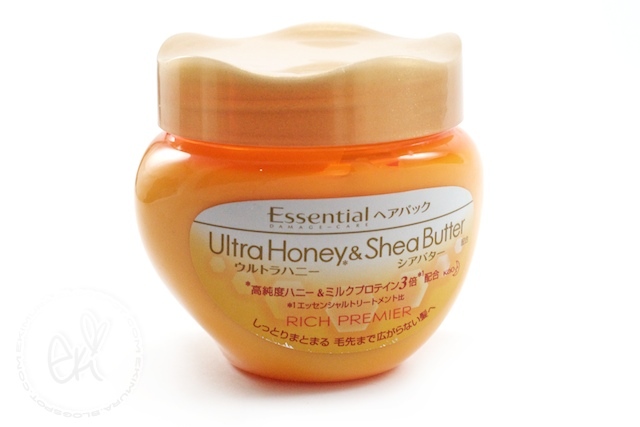 It is added with shea butter, a repairing and moisturizing ingredient, to make hair extra smooth. Sunflower oil leaves a protective layer to keep hair soft and moisturized. 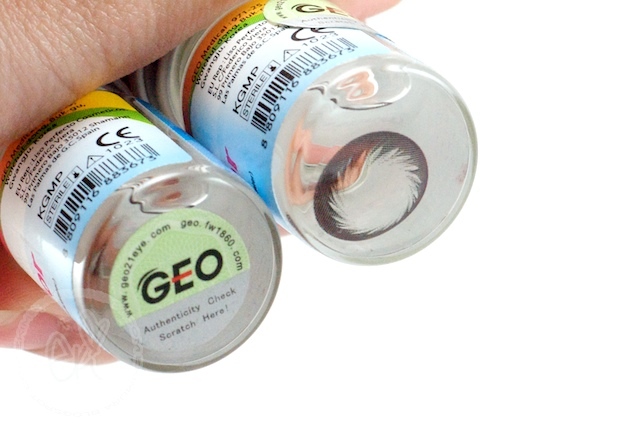 The product gives untamable hair a smooth and manageable feel. Recommended for use 2 to 3 times a week. After washing hair, gently dry it with a towel. Apply an appropriate amount to hair (it is recommended to apply a table-tennis ball-sized portion to medium-length to long hair). Leave on for 5 minutes before rinsing with water. I love Essential hair series so I knew I would love this hair mask even before I tried since their rich premier conditioner is already really moisturizing so I expected this one to be even more rich and so this product have been working as expected after using this mask it makes my hair soft, moisturized and shiny :D I love touching my hair after doing this mask feels healthy, worth getting if your hair is colored/processed and needing some shine and moisture to your hair! 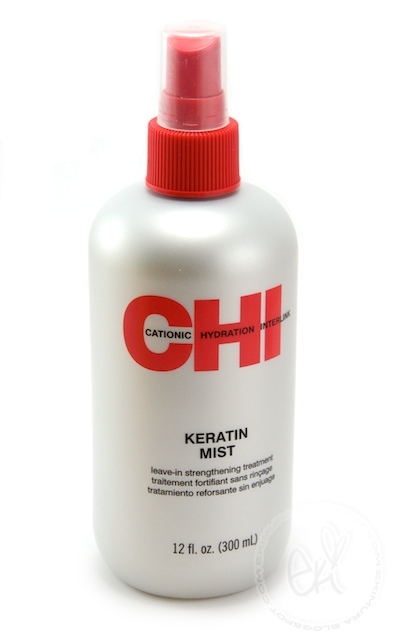 CHI Transformation System Keratin Mist is a leave-in strengthening treatment with Cationic Hydration Interlink proteins. Specifically developed to work in conjunction with the CHI line. CHI Keratin Mist is an advanced leave-in spray designed to provide hair with strength, protection and softness, while leaving hair silky and shiny with incredible manageability. 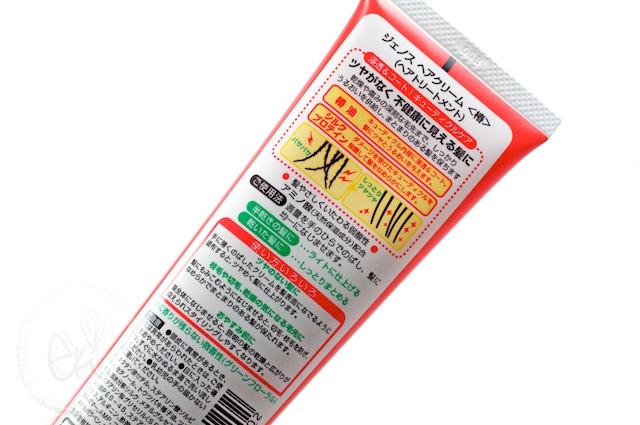 Ingredients: Aqua/Water/Eau, Dicetyldimonium Chloride, Cocodimonium Hydroxypropyl Silk Amino Acids, Acetamide MEA (and) Lactamide MEA, Hydrolyzed Wheat Protein Hydroxyproyl Polysolixane, Lauryl Pyrrolidone, Panthenol, Propylene Clycol, Diazolidinyl Urea, Methylparaben, Propylparaben, Methylchlorosiothiazolinone (and) Methylisothiazolinone, Nettle, Chamomile Extract, Algae, Aloe Vera, Lavender Extract, Rosemary Extract, Parfum (Fragrance), FD&C Yellow 5, D&C Red 33, Zinc Oxide, Titanium Oxide, Mica, Boron Nitride Powder. As you all know I color my hair ALOT so it does do alot of damage to them so I try to take a real good care of my hair as much as I can,, I started to use this products because my ends were starting to get really dry from all the color process that I do to them so I used all kinds of leave in treatments and this products have just been keeping my hair looking healthy and manageable out of all. I always make sure to spray this before I use my straightener or blow dyer because this add a protective layer of protein and also makes my hair more silky and strong feeling. I stray this after I wash my hair when its semi damp and brush it in or when its dry focusing on the ends before styling. Nice size bottle it will last you a good while and you can get them at major stores like target :D My hair feels silkier and the dry ends feels strong more and manageable,, no frizzy ends :P Use this before styling and it will make your hair feel thicker and healthier. to whoever that have dry processed hair or if you use straightener or heat styling products alot you will like the results with this product. 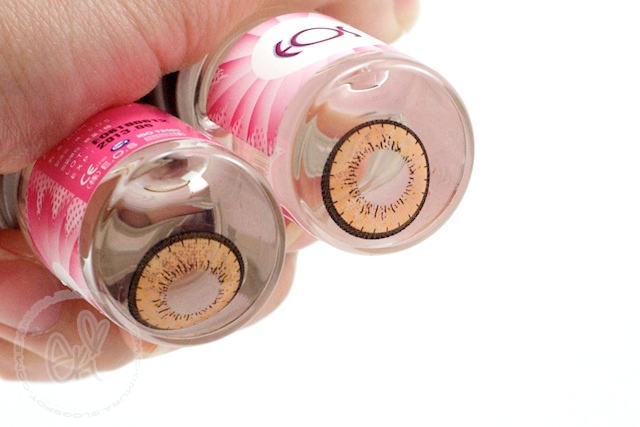 those circle lens are very pretty! 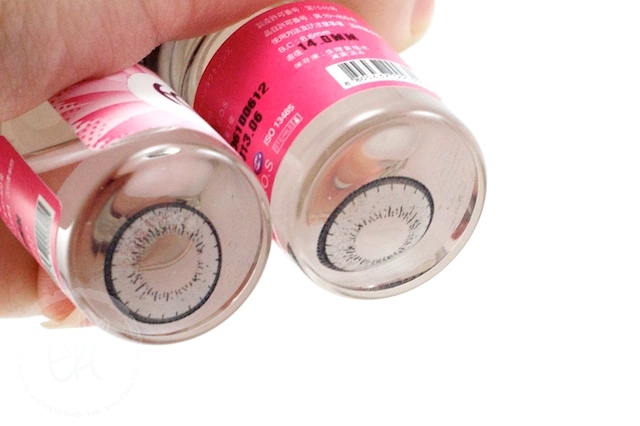 The chi nano looks awesome ♥ Looking forward to your new lens reviews too~! question though, do you usually use all these products all together every night? or do you switch off? 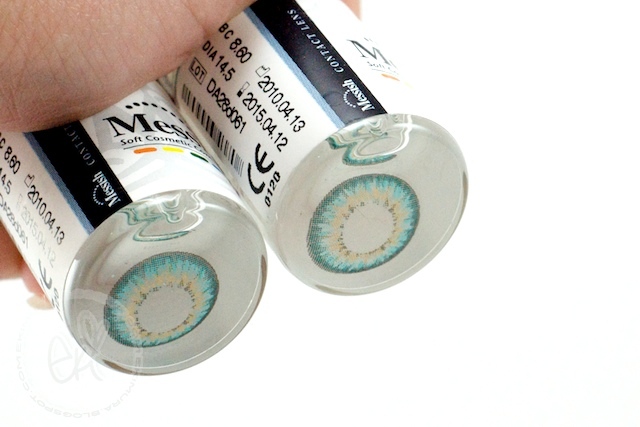 cool lenses...haven't seen these before. Do you use a heat protectant or just do you just use the keratin mist?? ?